Books Archives - The Qlik Fix! 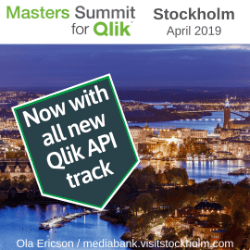 The Qlik Fix! 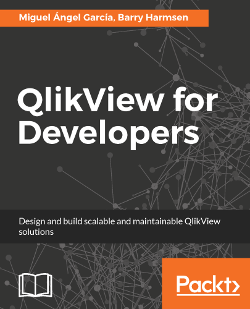 If you own the previous version of the book, and are still on QlikView, you may be wondering “Do I need to get this updated version?“. The answer to that question is “Unless you are a book collector, probably not“. There are some things about the previous edition of the book that irk me. There are also many things that I have learned since 2012 and would do differently nowadays. Besides the irks, none of these things are in the updated version. Have an exceptionally wobbly table that requires fixing. Different people have different preferences for acquiring new skills and knowledge. 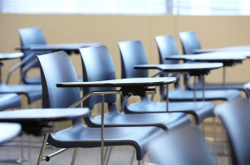 Some like to follow a classroom training while others prefer to start with a concrete problem, research the subject themselves and learn by doing. Some people like to read blog posts and watch videos, while others prefer to read a book. Today I have something for that last group; a reading list for QlikView and Qlik Sense professionals. The reading list is available through this link, or via the top menu bar. It does not only contain books about QlikView or Qlik Sense, but also a range of peripheral methods, skills and technologies that I believe will make you a more well-rounded Qlik professional. I will be periodically updating this list with new and relevant books. I hope you will enjoy this list. If there are any must-read books that you are missing, feel free to contact me through the contact form, or leave me a comment below. Since its publication in November 2012, our book QlikView 11 for Developers has been used by many people to take their first steps in QlikView, improve their skills and prepare for their Developer certification. But to our surprise, it haven’t only been individual developers who used the book. Mike and I learned that many organizations either developed their own training around our book, or were contacting us to inquire if such materials were available. Obviously, this is something that we welcome and will gladly facilitate. 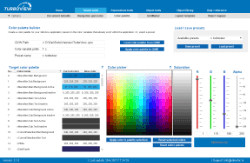 After a few months of development and rigorous testing, we are proud to announce that we now have a complete set of ready-made materials available. These materials enable you to quickly deliver a structured, professional QlikView training based on QlikView 11 for Developers. 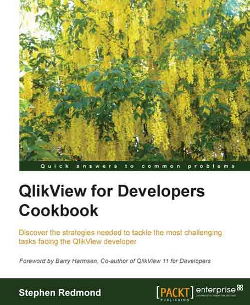 As you may have read or seen elsewhere already, the 24th of June saw a new addition to the QlikView library; Stephen Redmond‘s QlikView for Developers Cookbook. 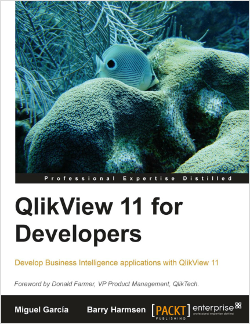 Categorized into 11 chapters, this new book contains self-contained recipes that show you how to achieve various tasks in QlikView. I was delighted to be a technical reviewer for this book, and honored when Stephen asked me if I’d write a foreword for him. For those interested in the foreword, I’ve included it after the break.